Dr. Daniel MacArthur is an Assistant Professor at Harvard Medical School and Massachusetts General Hospital, as well as an Associate Member of the Broad Institute of Harvard and MIT. 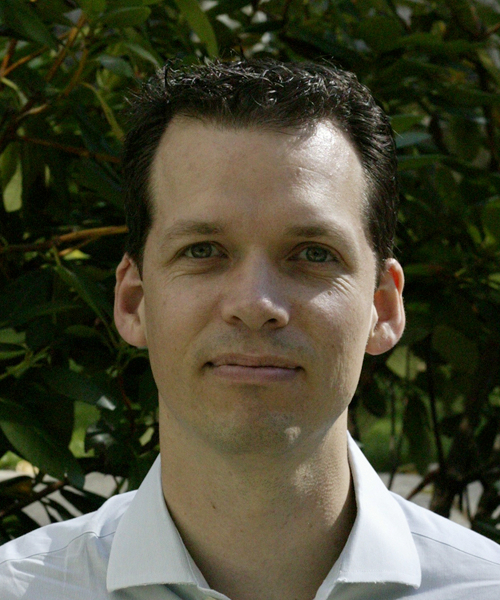 Daniel received his PhD in Human Genetics from the University of Sydney and served as a Postdoctoral Scientist at Children’s Hospital at Westmead. Daniel worked as a Research Fellow at the Wellcome Trust Sanger Institute before accepting his current appointments. In addition to his superb research, Daniel has written many blog articles for both Wired Science and ScienceBlogs.com. Daniel is here with us today to tell us all about his journey through life and science. Daniel spends much of his free time with his family including his two young children. He also enjoys chatting with all the phenomenal scientists on Twitter. In the lab, Daniel uses genetics and DNA to diagnose kids with rare muscular diseases like muscular dystrophy. Daniel didn’t commit to science until relatively late in the game. He really enjoyed writing in high school and thought he would go into journalism. After a few conversations, a career aptitude test, and an application on a whim to the biomedical science program at the University of Sydney in Australia, Daniel’s career began. His first experiences doing research as an undergraduate sealed the deal. In the second year of his PhD, Daniel had managed to make his planned knockout mouse, but his experiment was almost completely ruined when the mice wouldn’t breed. While Daniel anxiously waited for his mice to multiply, he struggled with side projects that didn’t go anywhere and was getting really frustrated with the lack of progress. Recently, Daniel’s lab announced the public release of summary statistics for a large data set of exome sequences (samples of protein coding genes) with over 63,000 samples! This is a very valuable data set that will allow people studying rare diseases to look up genetic variations they see in patients and quickly determine important information like if it is present in the sample data and at what frequency. In 2007, Daniel attended a meeting San Diego, right at the end of a three month trip with his wife where they went backpacking all around the world. This trip included time in East Africa, Madagascar, Eastern Europe, and the U.S. East Coast. San Diego was the final stop, and he had to frantically prepare for one of his first international presentations there. It went well, and he struck up a conversation with someone at the meeting who helped him plan his next steps that guided his career to where he is today. One of the things Daniel really loved in his PhD lab was the sense of camaraderie. They had a tradition that after the tedium of Western blot experiments (used to detect specific proteins in a tissue), a group of your peers would accompany you into the dark room to develop the film. This was the most thrilling part of the experiment that could leave you and your fellow onlookers sharing the crushing disappointment or complete elation depending on the results. Daniel’s research is focused on the use of genomic approaches to uncover the functional impact of human genetic variation. He coordinated the functional analysis of proteincoding genetic variants for the 1000 Genomes Project pilot studies, and subsequently led a working group investigating the impact of proteincoding loss-of-function variants in the human genome (MacArthur et al. Science 2012). He currently coordinates the Exome Aggregation Consortium (ExAC), which has aggregated and jointly processed exome sequence data from over 50,000 individuals. He also leads the Genotyping Working Group of the Genotype- Tissue Expression (GTEx) Project, and two consortia focused on the genomic diagnosis of rare neuromuscular diseases. He serves on the Program Committee for the American Society of Human Genetics, and in 2012 co-chaired the NHGRI Working Group on Implicating Sequence Variants in Human Disease. MacArthur received his BMedSc and PhD from the University of Sydney, Australia, and completed postdoctoral training at the Wellcome Trust Sanger Institute in Cambridge, UK before beginning his current position in 2012.